Speaking at Microsoft ignite 2018 in Orlando - Is voice in the cloud right for you? 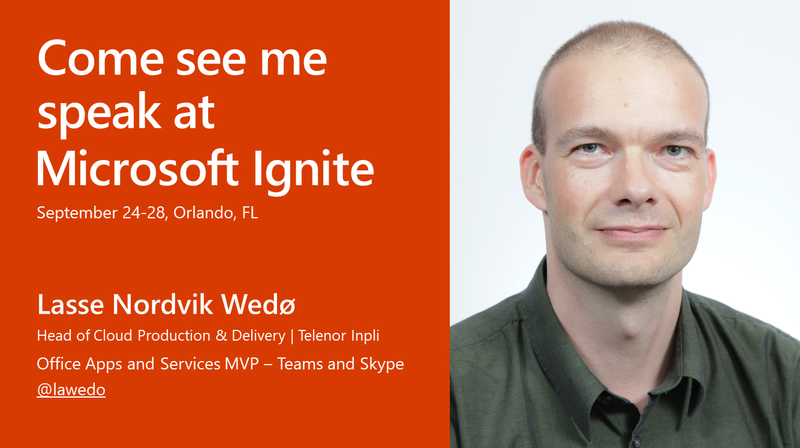 I'm proud to announce I am speaking at the upcoming Microsoft Ignite in Orlando. This is the third Ignite I will be speaking at, but I am just as thrilled and humbled by this opportunity as the first Ignite. This time, I will be doing a theater session called "Is voice in the Cloud right for you?". If you are interested in knowing a little more about the roadmap for Microsoft’s Phone System and how it could match the needs of your company, join me at THR2039 in the Expo Theater 12 on Tuesday 25th between 1:05PM and 1:25PM.